This past Fall at the Cleveland Art Museum, they showed the exhibit Infinity Mirrors, by Yayoi Kusama. Ever since the unique, mesmerizing, and breathtaking exhibit left, those in the Cleveland area have been anticipating what comes next. 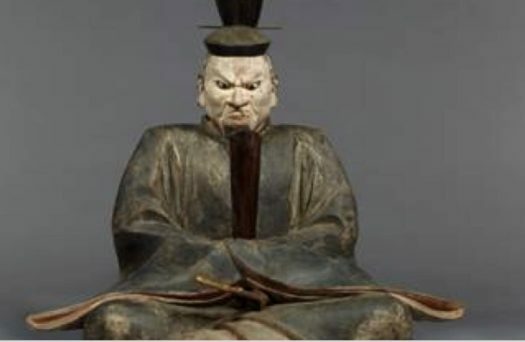 Beginning April 9th, Shinto: Discovery of the Divine in Japanese Art, will be shown at the Cleveland Museum of Art until June 30th. it will be shown in two rotations options with a total of 125 pieces. But what exactly is the exhibition? The worshiping of deities called “kami” is one of the main features of Japanese culture and has also served as a big inspiration for much of Japanese visual art. Most recently, kami worship has “fallen under the auspices of a diverse body of rites known as Shinto.” This exhibition introduces works exemplifying kami worship from the Heian period (794–1185) through the Edo period (1615–1868). The exhibitions offer a wide varity of cultures and ideas that educate and impress those of all backgrounds. Whether you are an art enthusiest or go to muesem on a rainy day, you will be able to apprecaite this new exhbit and the many others.